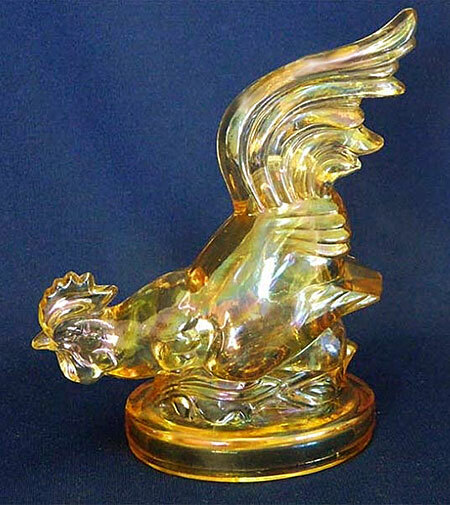 This marigold 8-inch tall figural rooster sold in 2014 for $425. The age is unknown. Photo Courtesy of Seeck Auctions.